You have just mo ved to the area. 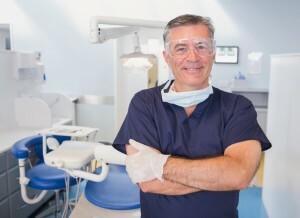 What’s the best way to choose a Mount Pleasant dentist? The American Dental Association advises looking for several key features, and you can find them all at the offices of Robert C. Sikes DDS. Your family deserves precise dental care. From oral exams, x-rays and cleanings to restorative care such as porcelain crowns and dental implant restorations to cosmetic improvements such as teeth whitening and porcelain veneers, your new Mount Pleasant dentist must evaluate the health of your teeth and gums and also quickly address emergency issues such as tooth extractions. Diagnostic tools should include low radiation digital x-rays. Look for membership in professional associations such as the American Academy of General Dentistry and the American Dental Association. Your new dentist must keep current with advanced training such as with the Las Vegas Institute for Advanced Dental Studies. Be sure to check your new Mount Pleasant dentist for treatment hours that accommodate family schedules. Ask about fees, payment methods and accepted dental insurance plans. When a dental emergency such as a severe toothache, lost crown, or avulsed tooth arises, who is available to respond to your need? Additionally, tour the dental office. Are the treatment rooms comfortable? Are the office staff and dental assistants responsive to questions, and do they practice regular patient teaching? Just as each patient, whether child, teen, adult or senior adult, has many oral and systemic needs, the dentist you select must fully address those issues with an individualized approach. Dr. Sikes brings 33 years of dentistry experience in Dallas, TX to his current venue in Mount Pleasant. He also served in the Peace Corps before returning to private practice. His educational credentials are impressive and continuing education is important to him and his staff, too. Contact Dr. Sikes and his staff for a personal appointment to discuss their services and practice philosophy. They will answer your questions and to get you and your loved ones on the road to their best dental health.